To enhance your horse’s paces and prepare for the dressage arena it’s important to go back to basics. This exercise focuses on creating and maintaining contact. World-renowned dressage judge Stephen Clarke states that dressage is simply enhancing a horse’s natural paces. The foundations of dressage stem from reaction and control, and without working on these your aids won’t be as effective. The first thing that all horses should learn is to go forward from your leg into a quiet and accepting rein contact. Riding with your reins in one hand is an exercise Stephen uses a lot, especially with younger horses. It offers a perfectly equal, stable contact point that your horse can’t avoid and the rider can’t fiddle with the reins to compensate. Wait for him to step forwards into the contact and take that contact point forwards and down. You want to feel that your horse is pulling a little more into the contact. Once you have that feeling, take your reins back into two hands and try to keep the same feeling and frame. If you notice you are fiddling with your reins too much when you go back to two hands, simply take your reins back into one hand and try again. Riding transitions will help you establish the two basic principles of reaction and control. Stephen explains that riding good transitions is about training yourself to sit still and create reactions, rather than helping your horse too much, so holding your reins in one hand will really help you focus on your leg and let your horse take the lead. 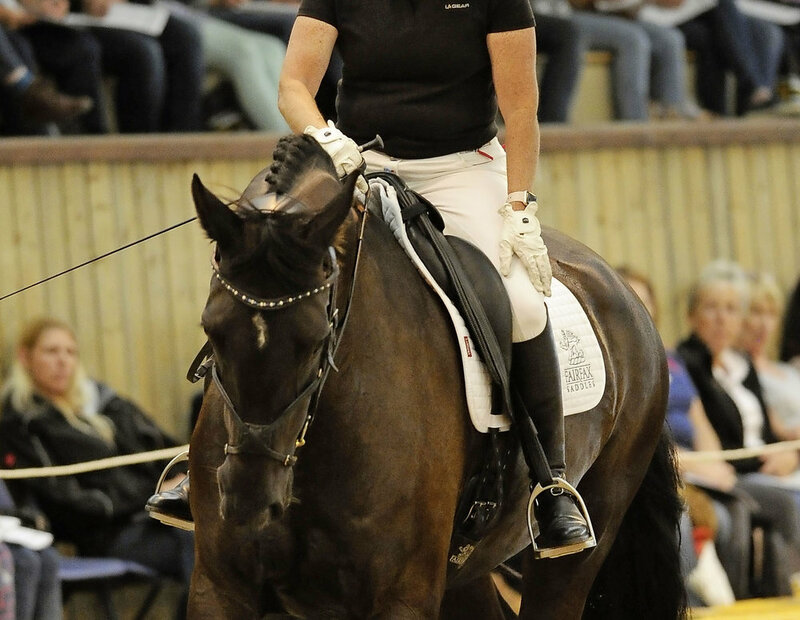 Check that you’re working from your leg to your hand, before you try to influence him with the rein contact to encourage him to stretch lower and allowing him to take the contact point forwards. Read the full article in issue 445, available here.